Hey everybody, welcome back to episode #5 — the most important factors of medical practice finance. This is your host, once again, Keith Gruebele. I hope you’re enjoying the content we’ve been sharing, obviously we’re very passionate about finance, but were very passionate about the healthcare space as well. 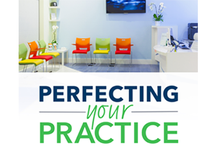 So being able to share some information with you, and helping you grow your knowledge and manage your practice as far to perfection as you can, is really really important to us. So thanks again for taking some time to tune in. Again, I hope you’ve been enjoying all of the information we’ve been putting forward, I hope you’re finding quality in it, and it’s helping you improve your practice, no perfect it. So, it turns out there’s a lot more to being a medical business owner than just treating your patients — I’m sure you’ve all figured that out by now, but if you start looking at owning a practice, you’ll start to see that you are more than anything, a business owner. You’ve heard me say this before and I’ll continue to repeat it for you — you are the CEO of this business, ultimately, it’s your responsibility for the success or demise of it. Not just of your own business, but the place that pays your bills, your family’s bills, employ your staff and add value to other people’s lives. I know it sounds like a big responsibility, but I’m sure using some of the tips and tools that you’re learning through this series, you’ll be able to manage that a little bit more efficiently and hopefully a lot more effectively find ways to perfect your practice. Today we’re going to be talking about, the most important factors in medical practice finance. And while there are a ton of them, and we could go in and dissect every single one of them down to the smallest level possible, I want to hit you with what I think are four of the biggest, most important areas you should be focusing on. Lets talk about this concept of being the CEO of your practice. Again your responsibility as the CEO is to make sure the business is running well, that it’s healthy and organized, that it’s executing as best as possible, that it’s in a great financial position, and that its growth continues. You’ll always hear me say, ‘if you’re not evolving, you’ll become extinct.’ So how do we evolve out finances and making sure we’re managing the most important areas of it? Well we’ve got to dive in here and really understand it further. First things first, I hope you’ve build a great team and around you, and I’m sure you have. Lets face it, if your practice has been around for a while, it’s probably not just due to you, but to the team that you’ve built around you, and kudos to you. I’m glad your picking up the right people and adding smart people to your office who will help you manage it as best as possible. But then again, being the CEO — it all ends with you, the buck stops here. So we need to make you’re that you’re diving in and understanding everything from a financial perspective. And knowing that you’re not just handing it off and just giving the keys to the kingdom to somebody to manage, but you’re actually involved in it and actually managing it by working with your staff, your team, to make them the best as possible to make your practice as perfect as possible. Think about it, you wouldn’t take your personal finances and had them off to somebody without checking in, if you have a financial advisor I’m sure to speak to them regularly — so why would you do that with your business? Again, your practice is probably the largest asset you have, it’s going to give you the most return that you’ll see, so lets make sure we’re setting you up for success. That you’re involved and engaged in the financial aspect of the business, and that you’re being proactive about putting a plan together to help you get there. So, speaking of plans, do you have an annual plan? Have you looked at the beginning of the year for your finances or the prior year and started understanding what your goals were? Have you set any team goals for yourself and for your staff to make sure you’re driving towards a better practice? Something to think about. If you haven’t yet, now is a good time to start. Lets dive in there to start creating a plan and executing as we said. There’s an old saying that I’ve heard time and time again and it still rings true, and that is ‘execution trumps knowledge,’ execution actually, trumps everything. So lets not just hear about this, actually jot down some notes, some information, put together a plan, and execute on it. So, part of that plan means checking in regularly on your finances and doing kind of an overview, top to bottom, from income or revenue, all the way down to expenses, all the way down to your net income. If you created an annual plan, it should give you a good path to move down. On a monthly basis you should be checking in, at least a monthly basis, because lets face it, your revenue and receivables change on almost a daily basis. If you’re checking at least once a month, you’re becoming proactive rather than reactive to your financial environment, that’s going to be important for maximizing the health of your business. Some areas you want to check in on — these four categories are going to give you the best opportunity at success. Just like health and wellness there are tons of places we can look, but these four areas can get you flowing in the right direction. Speaking of flowing, cash flow is the first thing you want to be looking for, the life slow of any business, small or large, it is the life-flow of any business. If you have steady income, you can maintain your day-to-day business. You can invest, start planning for growth, store money away for reserves, and putting yourself in a better position overall. Just because you’re waiting for a patient to pay, it doesn’t mean you can put off issuing paychecks or paying expenses. You have to prepare yourself to keep your business operating — let’s talk about how to keep doing that, the show must go on. 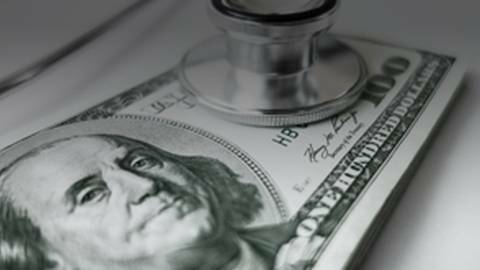 Implement payments at the time of service for your patients. It starts with you, talk to them about what it cost and payments, and find solutions so they can pay. Number 2, insurance claims, submit them daily. I know you hear around the office, ‘that’s done this day’ it should be done everyday. This is going to help prevent a lag time in getting reimburse and putting money back in your business. There’s two things right here. 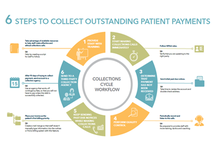 #1 Manage the collections cycle, creating the right expectations for your patients, making sure they understand the cost of procedure or payment plan. And #2, stay on top of insurance reimbursements everyday, rather than once a week or month. Insurance is changing, and if you’re not getting the right codes in that system, you can be waiting a long time for those reimbursements to come through. So I highly recommend you stay on top of those. Another area we like to talk about is debt. Debt is something that can be very crippling to people. They don’t like talking about it, they put it off. Kind of painful to think about and sometimes you don’t know how you got there, but you look and all the sudden you have a mountain of debt in front of you. And what’s the easiest thing to do? We all know. You ignore it; you ignore it and hope it goes away. Or you commit to yourself and say you’ll make extra payments to make it go away. The reality is, if you don’t sit down and kind of face the monster, it will never go away. You’ve got to face the debt that’s out there and understand what you can do, to make your practice successful. Not all debt is bad debt. Good debt, like investing in your business, which can have a positive return and you understand what it will do for your cash flow is great. But bad debt, and when I say bad debt, I mean multiple different debt lines that are out there hitting your accounts at different times of the month create inconsistencies in your cash flow and constant payments, that’s bad debt. Most people have debt sitting out there for all different kinds of things, and as we’ve said in previous episodes, there’s not a one-size fits all loan and we talked about leveraging the right debt for the right situation. But the reality is that a lot of time when you look at eh debts out there, many of them can be consolidated, where you can tie them together to only have one monthly payment. A lot of times it’s as simple as sitting down with vendors and asking to schedule payments around your higher revenue cycles of the month. Ideally, you’ll want one monthly payment at a flat rate over a set term. With one rate and one loan, you can get in the right position. Make sure you’re managing that debt well, if it’s too overwhelming and payment are too often, it’s time to sit down and face it. Speaking of facing, there are a lot of monthly expenses you’re not looking at. It ranges everywhere, things like your front office, I see things like magazines, cable television a coffee station — things we put into our practice to make people feel welcome, but realistically, most people don’t look farther than their smartphone in their hand, not even paying attention to those magazines in lobby. And those expenses can add up. Start with the small stuff and eventually cut the big expenses in your office. Speaking of expenses, when was the last time you cleaned out the supply closet? It seems like a trivial task, but sitting down with your staff and going through, you’d be surprised what you find. Often time there are things bought and never returned, outdated things never used, or things you totally forgot are there. Look at these things and think how they may impact your month cash flow. Also, look at expenses from your suppliers; are you getting the best deals? When was the also time you went through a supplier invoice, maybe shopped around for a better deal, ask for a discount. I tell people all the time, I always ask for a discount. A penny saved, is a penny earned. Look at all of your expenses, run them all down with your office manager, run down everything and see where you can add back to your bottom line. Like I said, it starts small, but grows real big real quick. Speaking of that, one of the things we want to grow as quickly as possible is your monthly income. How are you getting more patients through your door? Marketing, promotions, new services, a reminder? Have you ever considered leveraging tech to do this? I know a lot of healthcare offices are the same way, whether they’re setting reminders or not, it’s a postcard that comes every once and a while. There are so many innovative ways to reach out to patients these days. Birthday or anniversary notes, let them know about what’s going on with your practice. You’ve got to constantly build that base of those continually visiting your practice, but also grow and understand how to get more through the door. 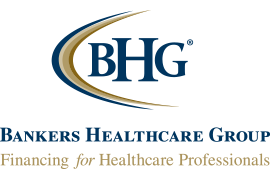 You’re competing with other healthcare professionals everyday. Allow your patients an easy way to get the care they need and the information they want. Look for ways to get patients to your office as efficient as possible. Reach out to those patients letting them know you’re there for them. With the experience they’re looking from and the solutions they require. Once you understand the financial landscape of your practice, you can sit down to further find out how to make it better. Engage with your staff and patients, sit down and brainstorm ideas of how you can be better, and increase your business together. They’re just as invested as you are, let them know what you’re looking at and ask for ideas and feedback. As the CEO of your practice, you owe it to yourself to set a plan and execute that plan to create a financially healthy future for you, your family and your team. This episode covers medical business finances and ways to efficiently perfect your practice to ensure its growth. There’s a lot more to being a medical business owner than treating your patients. You are the CEO of your business, and ultimately, it’s your responsibility for its success or demise. Not just of your own business, but the place that pays your bills, your family’s bills, employ your staff and add value to other people’s lives. Once you understand the financial landscape of your practice, you can find out how to make it better for your staff and your patients.